Our signature butter caramel textured pave chocolates are made from the finest creamery butter and vanilla bean. 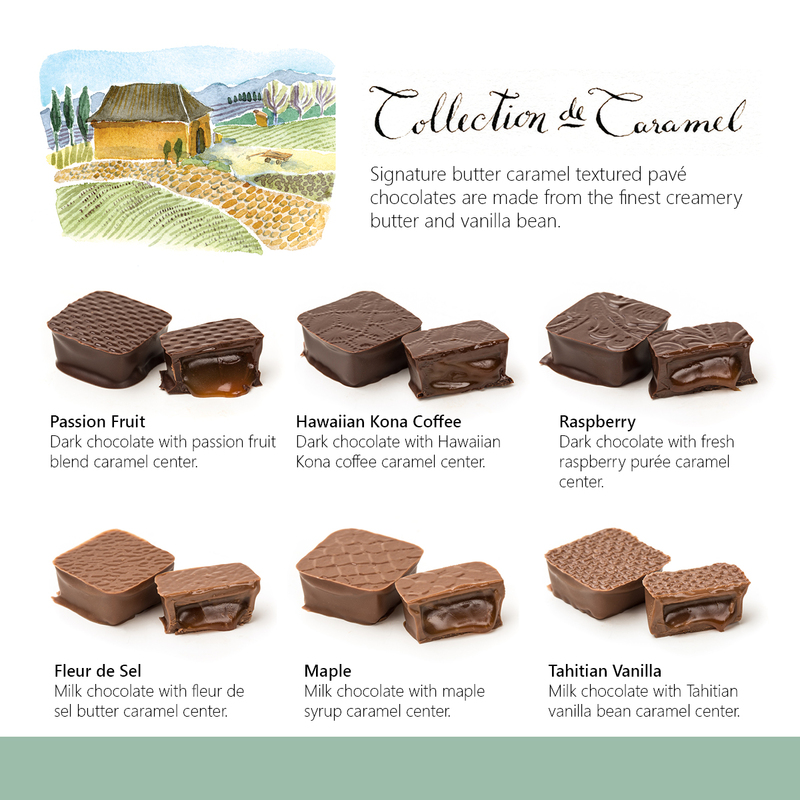 A regional specialty, the Collection de Caramel assortment is one of our most popular. 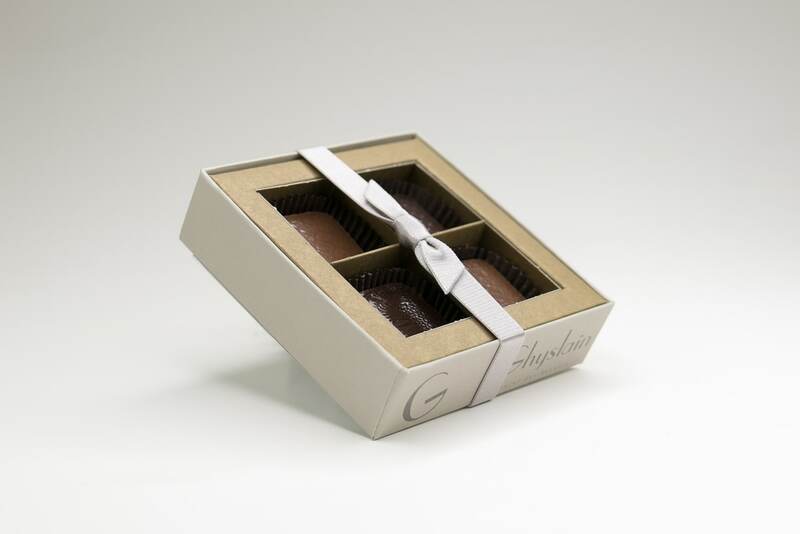 Gourmet chocolate caramels made with creamy butter caramel and delicious vanilla bean, it’s no wonder Ghyslain’s gourmet chocolate caramels are such a highly requested item. Featuring several unique flavor extracts, our dark and milk chocolate caramels deliver a taste experience that is both rich and indulgent. 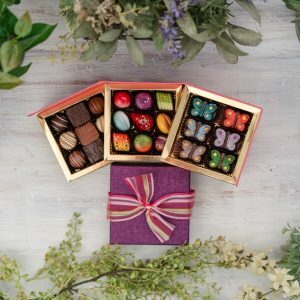 These mouthwatering works of art come in boxes containing 6, 12 or 18 pieces, so they’re perfect for sharing with others, which you’re sure to find challenging once you try a piece for yourself. Crafted using highest-quality butter available, our chocolate caramel recipe involves cooking the caramel at high temperatures. 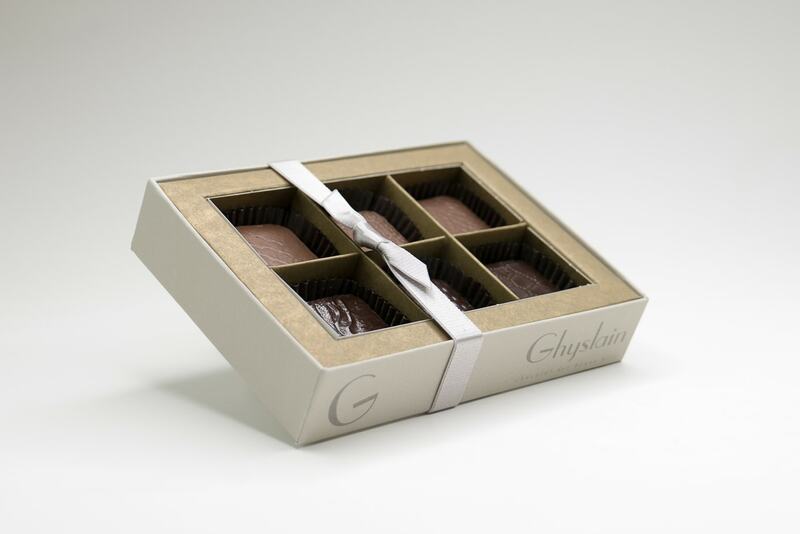 This method helps create a distinct flavor experience that is uniquely Ghyslain. Patterns are then pressed onto the chocolate, leaving each piece stamped with its own subtle texture. 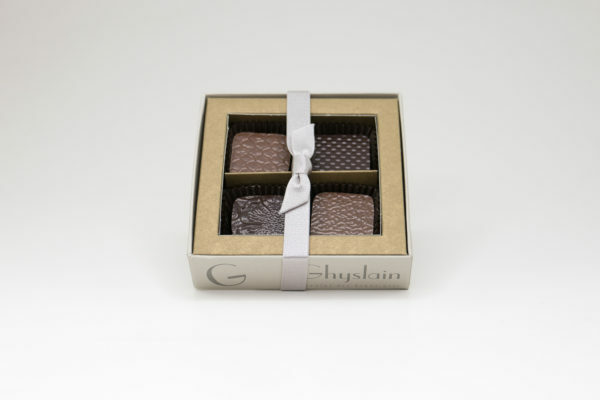 It is this attention to detail and quality that separates Ghyslain’s Collection de Caramel from any other. 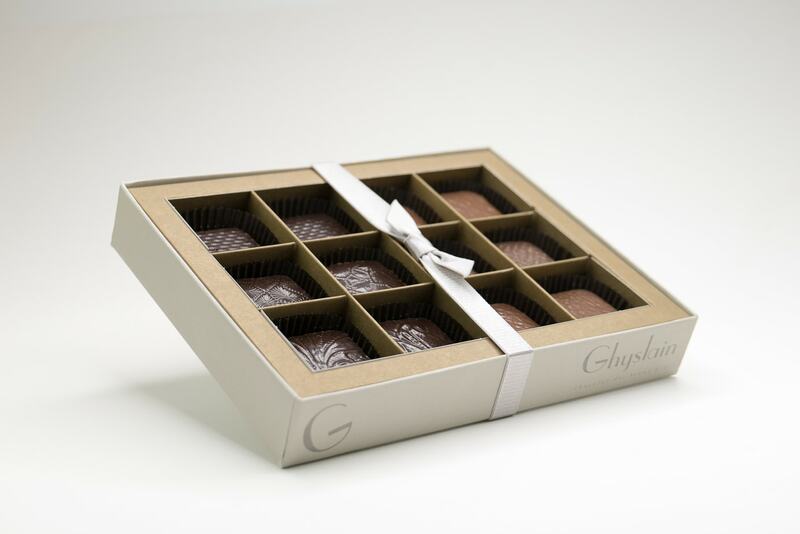 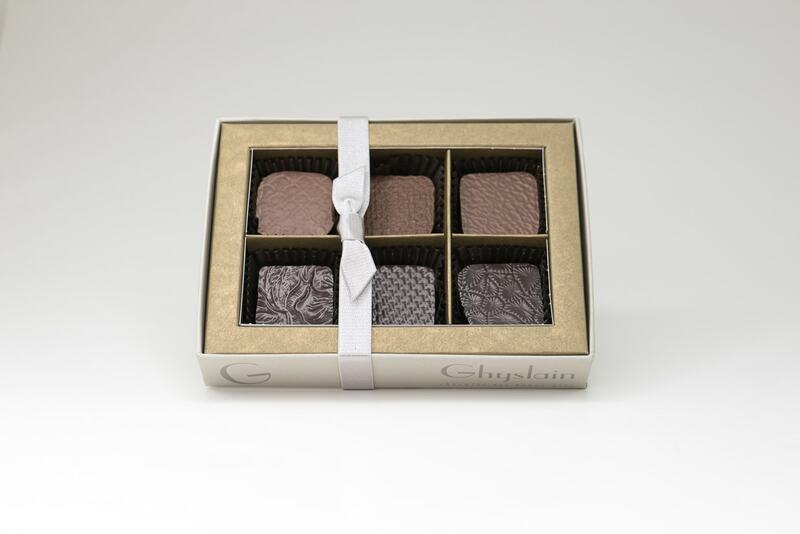 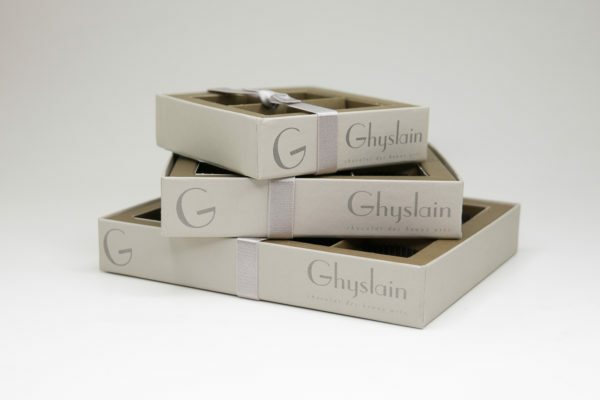 Handcrafted caramel chocolates from Ghyslain make a memorable gift at any time of year. 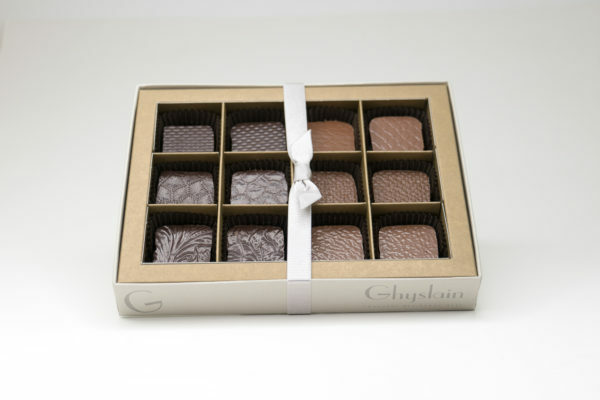 They’re perfect for loved ones, friends and business associates. 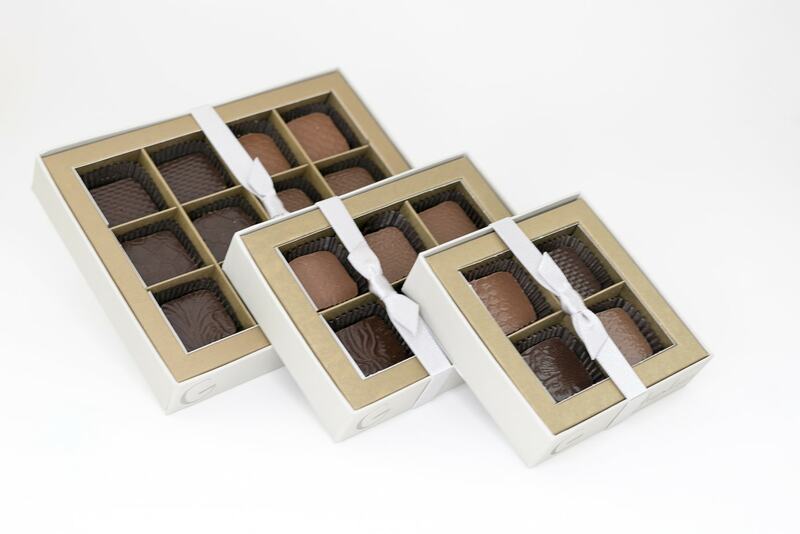 Or purchase a box for yourself and enjoy the taste of homemade chocolate caramels as a special treat or dessert. 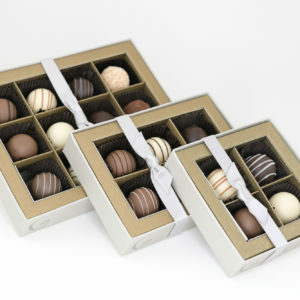 Ingredients: dark chocolate (cocoa mass, sugar, cocoa butter, soy lecithin an emulsifier), natural vanilla flavor), MILK chocolate (sugar, cocoa butter, milk powder, cocoa mass, skimmed milk powder, SOY lecithin an emulsifier, vanilla flavor), cream (milk), butter (pasteurized cream milk, natural flavoring (lactic acid)), sugar, coffee extract, glucose, maple flavoring, passion fruit juice, raspberry extract, salt, vanilla. This product contains less than .5% alcohol content.